Wolves come in many shape, sizes and even colors. 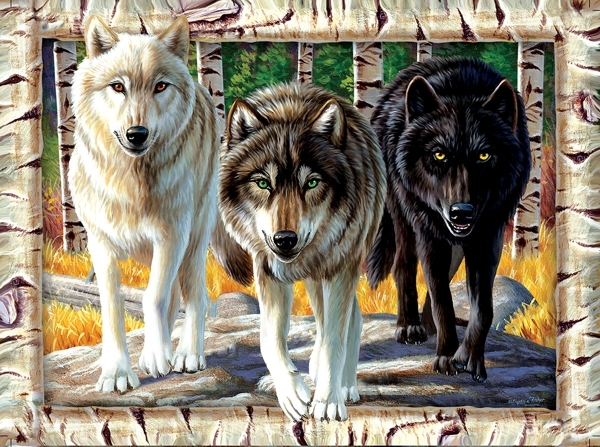 The Artist captures this nicely in this new Wolf puzzle called Wolf Pack Colors. This Wolf puzzle is 100% made in the USA using eco-friendly, soy-based inks on recycled board. They puzzle comes nicely boxed with a picture of the puzzle on the cover. Perfect for gift giving.